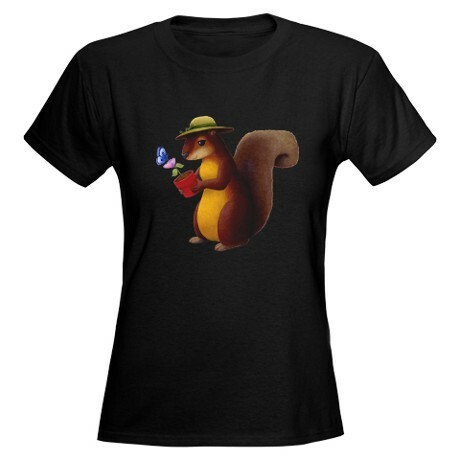 This garden squirrel shirt is just adorable. Available for women in various colors, this makes a great gardener tee shirt. You can buy this shirt here. This happy gardening cartoon squirrel shows the gentler side of rodent kind. She's at peace with the world, including the butterfly that has landed on her potted flower. A cute sunhat sits atop her squirrel ears, humanizing the design. It's a nice reminder that not all of humankind is at war with those bushy tailed rats. Some of us enjoy their funny squirrel antics. This shirt would make a great gift for a nature lover or a gardener.